Set along 25 acres of landscaped gardens on a bluff overlooking the Caribbean Sea, the Malliouhana, an Auberge Resort offers an idyllic setting for families and couples. Featuring an open-air design, the resort provides barefoot luxury with an iconic oceanfront restaurant, three white-sand beaches, and two-tiered infinity swimming pool. 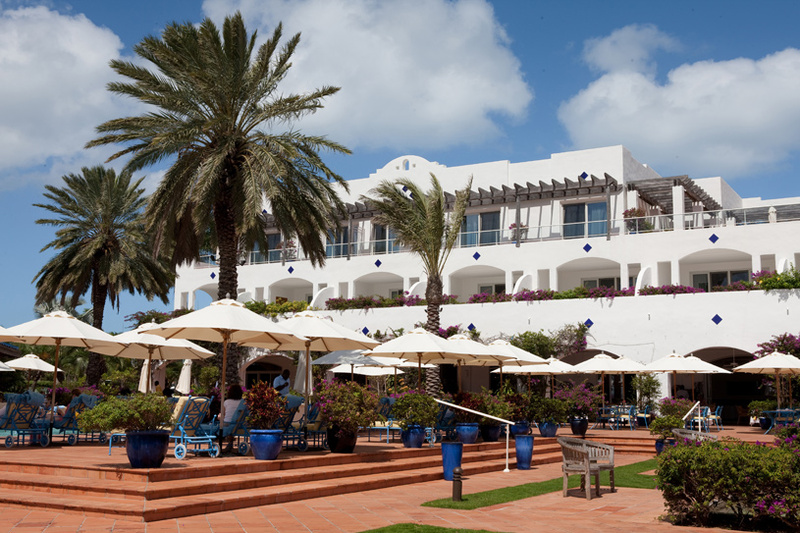 Recently refurbished, the boutique resort blends Caribbean hospitality with modern accommodations, as well as a range of activities including tennis, water sports, yoga, and paddle boarding. Learn more about Five Star Perks at Malliouhana below the photo. Five Star Alliance Perks: Guests that book through Five Star Alliance receive a $100 Resort Credit for food and beverage, spa, or boutique purchases. Plus, a welcome culinary amenity, VIP status, and based on availability, a room upgrade, early check-in, or late check-out. In October 2016, the Viceroy Anguilla resort will become the Four Seasons Resort and Private Residences Anguilla. The 166-room property will shut down for it's annual closure in August, and reopen under the management of the Four Seasons Hotels and Resorts. Set along the island's northwestern shore, the resort offers 3,200 feet of beachfront and panoramic Caribbean views. The property has an 8,100-square-foot spa, watersports, pool, and on-site restaurants. Plus, there are private residences, villas and vacation rental units. 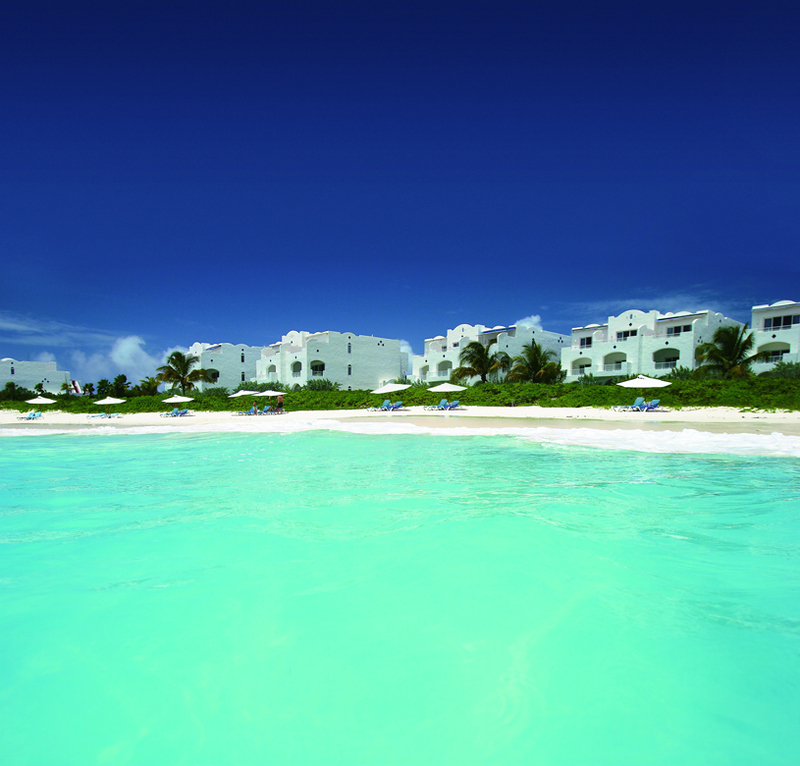 Cap Juluca is situated on the Southwest Corner of Anguilla, and overlooks the mountains of St. Maarten. A recent article from Ruthanne Terrero in our sister publication, Luxury Travel Adivisor, highlighted an upcoming redesign at the luxurious Malliouhana Hotel & Spa on Anguilla. 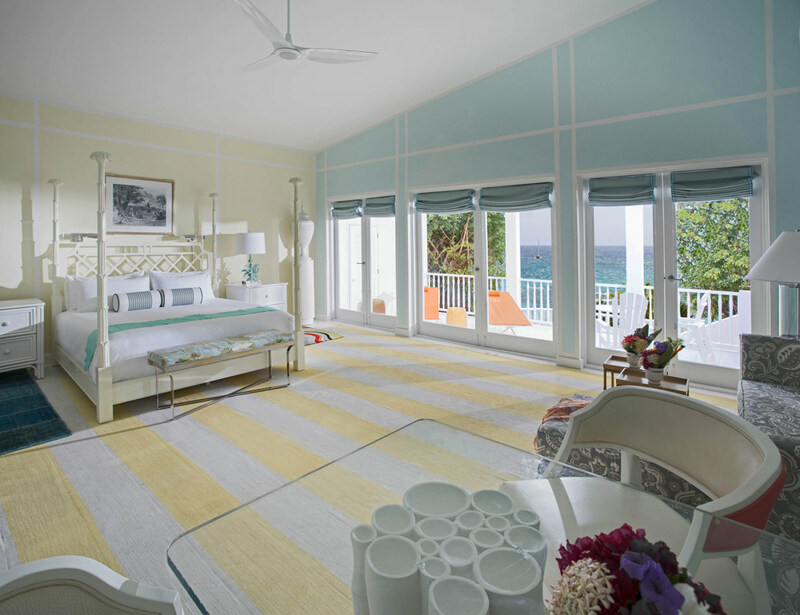 Auberge Resorts is revealing details of its redesign of Malliouhana Hotel & Spa, an Auberge resort on Anguilla. Set for a reopening in spring, 2014, the 55-room hotel, known for its iconic location high over Meads Bay and Turtle Cove, is undergoing quite the transformation. Along with it, we hear that the spa will be "entirely re-envisioned and scaled more in line with the classic Auberge Resorts spas, which is to say intimate," according to a representative for the resort. The news of the refurbishment bodes well for Anguilla and for Malliouhana, a resort that personifies the jet-setting crowd of the '50s and '60s. Interior designer Todd-Avery Lenahan, who redid Hotel Jerome in Aspen, says he's using that vibe to recreate the hotel. "We dialed in the spirit of how people in the '50s and '60s traveled - yachts, fine linens, exotic wonderment - and translated that notion into a very collected and international feel." The architects for the renovation, which includes rooms, public spaces and dining facilities, are SB Architects; you'll know their work if you've been to Dorado Beach in Puerto Rico, which underwent its own transformation recently. With the new Malliouhana, watch for the open-air spaces to be used to the max, and decorated with bright Caribbean colors. Nice Touch: The resort, which has two beaches, will now sport a tiered swimming pool area and a sunset bar. The smallest accommodations will be the 700-square-foot guest rooms and the largest will be the beachfront villas. CuisinArt Resort and Spa is located on the tranquil island of Anguilla, the most northerly of the Eastern Caribbean’s Leeward Islands. Situated on Rendezvous Bay along the southern shore, the Resort offers unobstructed views of St. Martin and the Sea, with beachfront access to one of the Caribbean’s most beautiful beaches. Question: We are planning on going to Anguilla for a family vacation. Could you let us know about availability from July 23rd to July 31st 2012? We are traveling with 2 kids ages 11 and 15 and would prefer to stay in one room. What are a few good options? Answer: A few great luxury hotels for families in Anguilla that have availability for your dates of travel are the CuisinArt Resort and Spa and the Cap Juluca. The CuisinArt Resort and Spa has a Beachfront Junior Suite with either 1 king or 2 twin beds with a queen sized pullout sofa bed in the living area. There would be an extra person charge for the 15 year old child of $80 per day, and the hotel would also be able to add an additional rollaway bed to the room if the kids did not want to sleep on the same sofa bed at no additional charge. Cap Juluca has an Oceanfront 1 bedroom patio suite which has a separate sitting area where 2 rollaway beds can be added at no additional cost. The suite has one full bathroom and a second bathroom with a shower. To make a reservation at either of these hotels, simply click on the hotel name link, enter your dates of travel, select the room option, and fill in the booking form. Please fill in the special request field stating that you will be traveling with a two kids ages 11 and 15 so the hotel can properly prepare for your arrival. Please be advised that the rates, availability, as well as the extra person charges are subject to change depending on the hotel’s policies.